Yes, I Want In! Register now. Imagine learning ways to fine tune your listening and observational skills so that you can deeply engage with the natural world. Then imagine that you have a repertoire of creative skills that allows you to quickly and easily sketch the beauty in nature, beauty that takes your breath away and fills you with a sense of calm and well being. 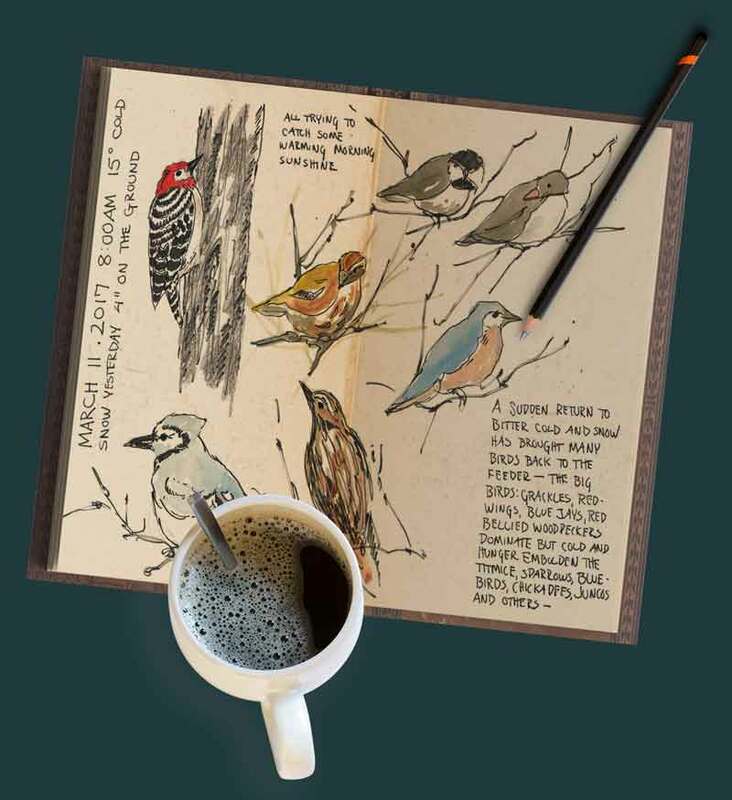 Imagine creating a beautiful illustrated book that holds all of your experiences in nature through drawings and personal journal entries. Each page laid out with lettering, backgrounds and beautiful watercolor sketches. That would be a book that you would treasure forever. 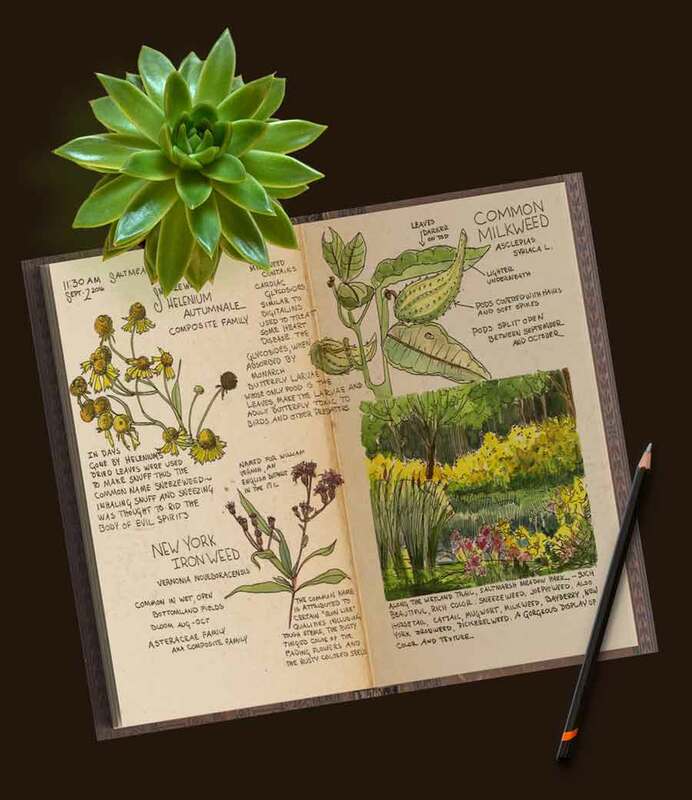 Nature journaling relies on sketching techniques that are quick, easy and simple. These types of sketches capture the essence of your subject and don't require photographic precision, or years of drawing instruction. Anyone, at any level, even a beginner, can learn these simple sketching techniques and create a beautiful nature journal. The secrets that allow you to work quickly outdoors are easy once you know them. They will provide you with the skills to document your experiences in nature season after season, and year after year. is designed to guide you step by step. You will expand and deepen your connection to nature and grow in your creative abilities. Are there bonuses? Yes, of course! This course is perfect for the absolute beginner. It contains all of the foundational skills necessary, presented in clear, compact lessons. Plus, you’ll be able to ask me all your questions in the private Facebook group. It’s also great for those with some sketching and painting experience. Maybe your skills are a little rusty, or you’ve only taken a few classes, and you want to continue learning and growing. This course allows you to expand your knowledge and skills. If you’re more experienced but are overwhelmed when you work outside, and have difficulty capturing what you see quickly, then this course will offer help in those areas as well. Most of all, this course was designed for those who love the natural world and want to form a connection with nature through art. You own the course forever, including all of the videos, modules and lessons, so you can go back and revisit the material any time. All PDF documents can be downloaded to your computer. 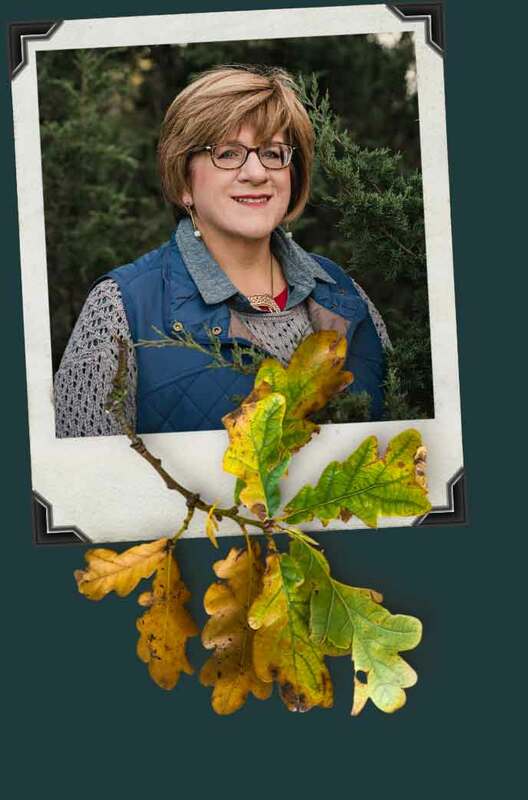 When you’ve completed the course you can continue to connect with me and other students and alumni in the private Facebook page, Nature Journal Journey. There are often new video tutorials posted, help sessions and live Q&A sessions too. In 1984 I graduated from Caldwell College with a BFA in Painting. I worked in the corporate world for a short while in human resources. Then studied floral design and worked as a florist. When my children were young gardening was my creative outlet. In 1999 I came across the book A Country Diary of an Edwardian Lady, and immediately knew that I wanted to create journals like that. Keeping a nature journal led to plein air painting and that led to creating large landscapes in the studio. I began exhibiting, and took a deep dive into the world of art. I taught, lectured, was represented by a number of galleries and gained entry into a number of prestigious art organizations. All of that was happening while I was homeschooling my three children. Then somewhere around 2009 I began to gravitate back towards working in a sketchbook, creating art for the sheer love of nature and the enjoyment it brought me. Gradually, I began letting go of art shows and galleries. For the last several years I have focused exclusively on making personal art in my journals, and nature is always my favorite and most meaningful subject. 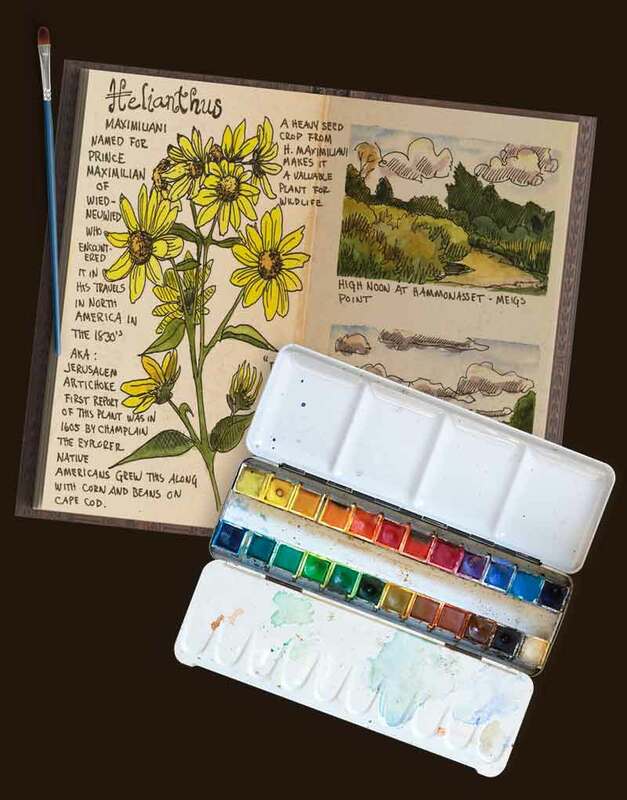 I teach sketching, and lead nature journaling retreats that weave together a deep connection to the natural world and creative expression. My children are grown now and my husband, two Shetland sheepdogs, and I live on a lovely piece of property with a thriving beaver pond and community of wildlife. to begin keeping a nature journal?